2. 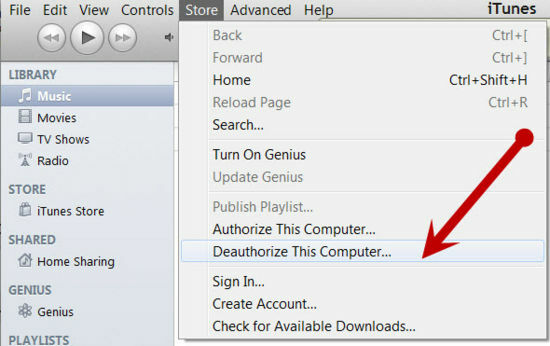 From the drop-down menu at the top, select Store > Deauthorize Computer. 3. Chose “Deauthorize Computer for Apple Account”. Enter your Apple ID and password. The computer that you just entered this into is now deauthorized.